We strive to create packaging that matches your market and boosts your sales. 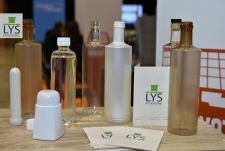 Lyspackaging's integrated global design skills make it a specialist in providing packaging solutions to the wine and spirits industry. VEGANBOTTLE® is a new formulation with superior mechanical and barrier properties to all PLA-based formulations biodegradable and compostable.